Isn't this top just the cutest?! It comes in a pale blue stripe and a pale pink stripe the sweetest little bow to tie on the back of the neck. 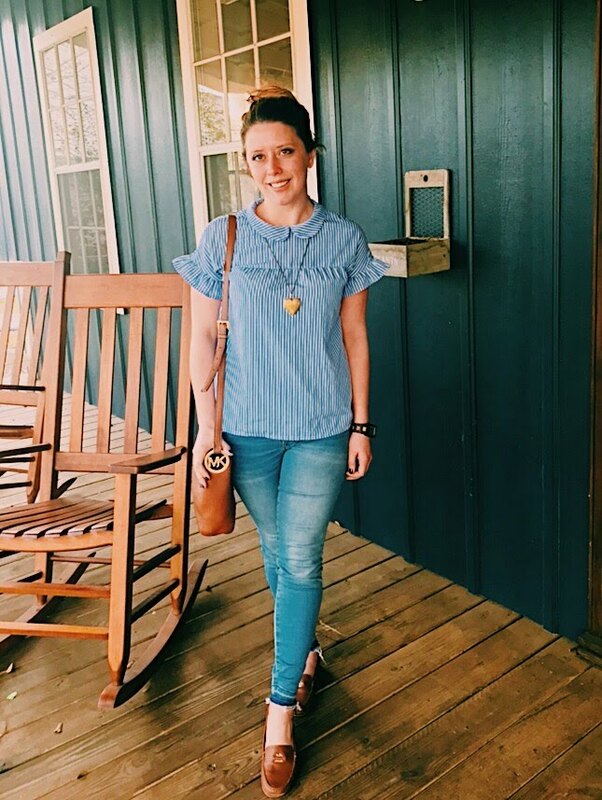 Over this past Summer I went on a pale blue rampage with shopping and added a bunch of items to my wardrobe to wear over the Spring and Summer seasons. This one was one of those great purchases and it's still in stock for $15! I paired it with my trusty loafers, a classic brown leather bag and added my JORD watch (check out this collaboration).